The concept of unicondylar resurfacing was developed by McKeever and Elliot  in the 1950s and utilized through the 1960s. 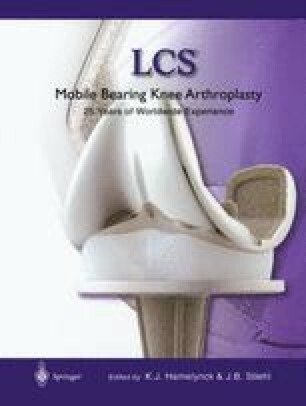 Cemented hemiarthroplasty (femoral and tibial surfaces) was first reported in the early 1970s in North America by Gunston. Marmor  utilizing the fixed-bearing knee with different geometry (Fig. 1).